This plate was made by me and my husband. 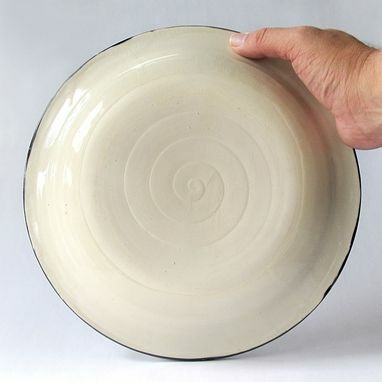 We are a pottery team, who met and fell in love many years ago in ceramics class. And we have been making pottery happily ever after. 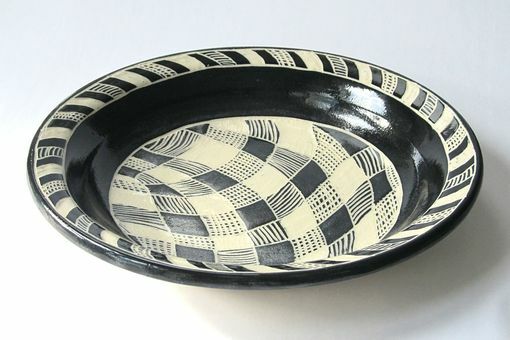 "Clay With Me Pottery" is the combined loving work of Anna and Neale. 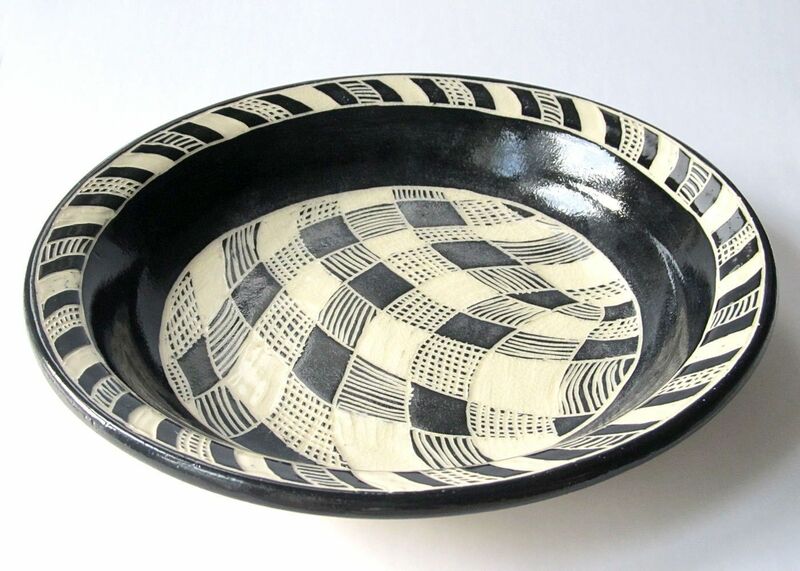 Anna (me) creates the piece from smooth white stoneware clay, while Neale carves the intricate designs through a thick layer of black underglaze. 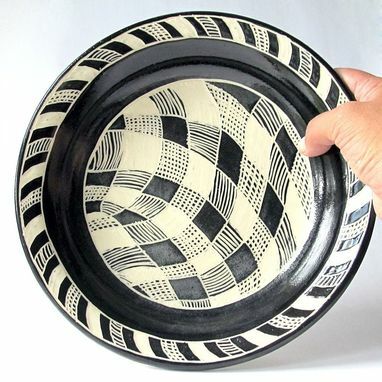 and will make a lovely serving plate.